In this PDAC interview, Dr. Kal Kotecha shares his thoughts on current conditions for both the gold and silver sectors. 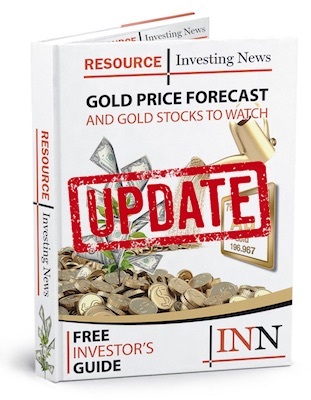 The Investing News Network (INN) sat down with Dr. Kal Kotecha, editor and founder of the Junior Gold Report, at the Prospectors & Developers Association of Canada (PDAC) convention. Kotecha explained to INN how both the upcoming economic crisis and mergers and acquisitions (M&A) are good for gold, what his favorite metal is and which direction he sees the price of silver going in. “We are going into a deep economic crisis, maybe starting in about 12 months [and it will] maybe last two or three or four years […] I think this is going to be a little more gradual [than in 2008], with a lot of down days, and I think that is what’s going to be a really good catalyst for gold. Kotecha also addressed the increase of M&A activity within the gold space, which was the hot topic during the convention and is still a major conversation. Switching gears to the white metal, Kotecha said that there is a possibility for M&A within the silver space and he hopes it happens as it is his favorite precious metal. Finally, the metals expert stated that despite silver remaining relatively flat this year, that won’t be the case for long. Watch the interview above for more from Kotecha. You can also click here to view our full PDAC 2019 interview playlist on YouTube.